What you can do about 5G, WiFi, etc. 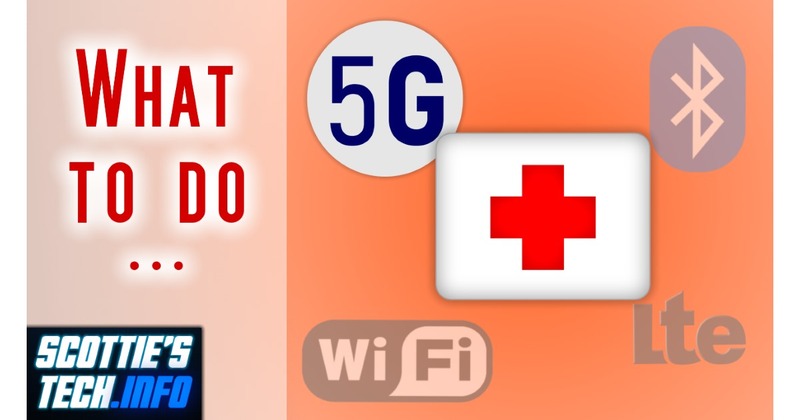 In my last vid, 5G is just the tip of the iceberg, I talked about a bunch of recent studies showing that all this crazy wireless stuff is having negative effects on our health. Naturally, the question on everyone’s mind is: What can we do about it?! Well, minimizing your exposure is probably a wise idea. There are all kinds of fun ways you can do that. Ya know: Don’t assume that you are powerless! The quickest way to fail at anything is to never even try in the first place. Some cities already have 5G, but no 5G devices are available yet for sale as of this writing! ← Help, I can’t delete a file from my Desktop! Maybe, just maybe, being connected to “social media” 100% of the time in 100% of the areas we travel really just is NOT necessary and NOT life sustaining. I’m sure my 13yo granddaughter would disagree, but quite honestly we did just fine before this technology took over. – Do we need 5G? – What kind of benefit do we get from it if any? – Is it really worth dying for? Literally!